Often we are asked what our raison d’être is, for at times we are accused by the left of being fascists and by the right of being communists. These are political, at best sociological categories, which represents something that really misses our total view. It is not a mystery, nor is it lost on us. Our detractors are many but not as many as our readers and supporters. We think that showing and doing are more important than explaining. And we’ve shown our editorial line through our news and how we interpret the world. We haven’t failed to notice our friends, readers, supporters defending our mission oriented work in countless tweets, comments, and the like, in response to various attempts to misinform the public about what we stand for. As a spokesman and ideologist of our project, I would try to offer the following window-view from the vestibule. First and foremost, the human experience is the subject of our struggle. Religious Beauty is the expression of the yearning for real beauty in the world as we exist in it, and a protest against the hollowness of this world. The yearning for Beauty is the yearning for the greater, the Eros and the Agape, the magnificent – the spectacle of beauty in a world of despair is a glimmer of hope, revolutionary in embryo, it is the evidence of soul despite soulless conditions. It is the antidote of the people. This is an important part of what we are anticipating when we look for meaning, for love, for hope, for beauty in this world. It is represented, though only partly, when we seek justice. We can taste it in music, or in witnessing the birth of a child. Approaching the present moment, we came to live in a world where cynical despair led to an embrace of meaninglessness. Fear of the sentimental, rooted in real world alienation and rejection, has led to a nihilism – a repudiation of the soul, an elimination of beauty, a breaking of faith. And worse, moreover, that these in the first place were no more than words which lacked any essence. We live in a world suffering from a broken heart. Eros is all but dead. The vacuous commodification of all that previously had meaning in life, has robbed us of those implicit and explicit meanings. As love, balance, song, and heart – all together Beauty – were subsumed as commodities, in rightly rejecting commodification, wrongly the subject of commodification – Beauty – was also eschewed. That is the locus of the critical error. It is slitting ones wrists in response to blood poisoning. Rather than hold fast to Beauty, and affirm its expression as the gift of Love, we have surrendered these to the merchants. In so doing, we tacitly admit that they indeed own these. The merchants defined Beauty as Lust, something which you take at the expense of another. In our post-modern nightmare, it is offered up as an example of what you are not and what you cannot afford. They, who would control us, can never win with Beauty in our hearts and in our lives. Those, simpler, who are not wrong to be drawn to Beauty, are instead sold its corrupted, commodified form, Lust. Those, smarter but not wiser, responded by rejecting the category and meaning of Beauty and the Love it requires – they believed themselves revolutionaries, but were only bringing full circle the crimes of the merchants. In reaction to the commodification of Beauty arose a false post-modern resistance culture – the cult of the subjective, the ego, the nasty, and the ugly. It is a mirror image of commodity culture, but one which embraced all the wrong instead of redeeming that which was vulgarized. This article was source from Russian-Faith.com visit them for the full article. Hey Buddy!, I found this information for you: "The Significance of Beauty". 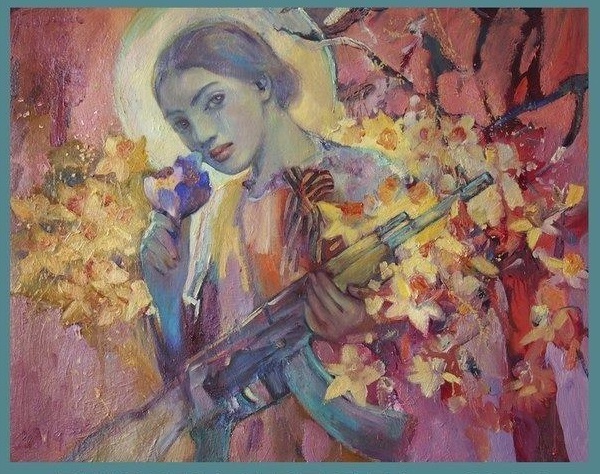 Here is the website link: https://russophile.org/the-significance-of-beauty/. Thank you.